Hardy made his film debut in Ridley Scott's Black Hawk Down (2001) and has since played in such films as Star Trek: Nemesis (2002), RocknRolla (2008), Bronson (2008), Warrior (2011), Tinker Tailor Soldier Spy (2011), Lawless (2012), Locke (2013), The Drop (2014), and The Revenant (2015), for which he received a nomination for the Academy Award for Best Supporting Actor. 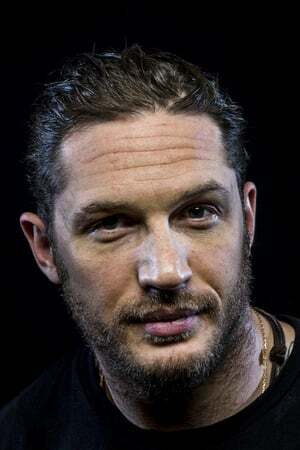 In 2015, Hardy portrayed "Mad" Max Rockatansky in Mad Max: Fury Road and both Kray twins in Legend. He has appeared in three Christopher Nolan films: Inception (2010), The Dark Knight Rises (2012) as Bane, and Dunkirk (2017). He starred as Eddie Brock / Venom in the antihero film Venom (2018). Hardy's television roles include the HBO war drama miniseries Band of Brothers (2001), the BBC historical drama miniseries The Virgin Queen (2005), ITV's Wuthering Heights (2008), the Sky 1 drama series The Take (2009), and the BBC historical crime drama series Peaky Blinders (2013–2017). He created, co-produced, and took the lead in the eight-part historical fiction series Taboo (2017) on BBC One and FX. Hardy married producer Sarah Ward in 1999; they divorced in 2004. From 2003 to 2004, he had a relationship with actress Linda Park. They lived together in London and also co-starred in the drama Roger and Vanessa in 2004. He had a son (born 2008) with his girlfriend at the time, assistant director Rachael Speed, whom he met on the set of The Virgin Queen. in 2005. They separated in 2009 after being together for four years. In 2009, Hardy began a relationship with actress Charlotte Riley, after they met on the set of Wuthering Heights. They married in July 2014. In October 2015, Hardy's wife gave birth to a son.